After the end of SBS’s A Thousand Days’ Promise, but the ratings battle of Korea’s Monday and Tuesday drama continues. A new situation been played out on the week of December 26 and 27, 2011. Although the ratings of MBC’s Lights and Shadows starring Ahn Jae Wookd lose slightly, but in Seoul metropolitan region, its ratings soured to 16.4%, overwhelmed Brain. The first week of contest, both dramas tied. 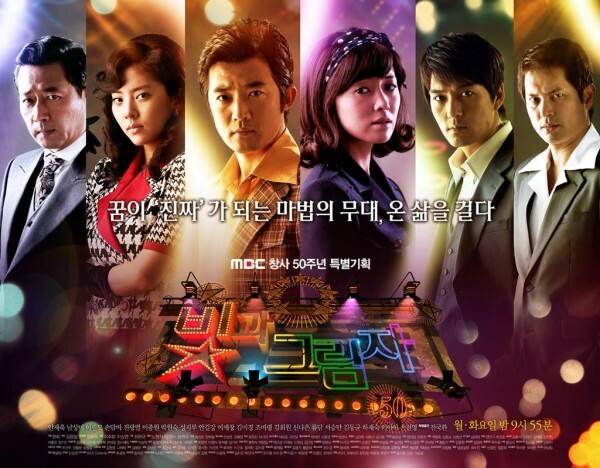 The hit drama A Thousand Days’ Promise ended its broadcast on December 20, 2011. Filling in the blank gap before the debut of next drama in 2012 was special edition of Deep Rooted Tree, and as such the ratings dropped to single digit of 8.1%. The Brain and Lights and Shadows which were both suppressed by A Thousand Days’ Promise fight bitterly towards success. Brain which ratings have already hovering around 14% previously rated 15.5% on 14 broadcast on December 27th, 2011, its highest record. On the other hand, Lights and Shadows which ratings were only at around 10% also has its rating surged to 14.1% on episode 10 broadcast at the same time. But in the ratings for Seoul metropolitan region, the rating of Brain was only 15.6%, while Lights and Shadows rated 16.4%. This was a very rare situation, as normally the ratings in Seoul wil follow the nationwide ratings, but it also signifies that the popularity of Lights and Shadows has started to surge in Seoul.